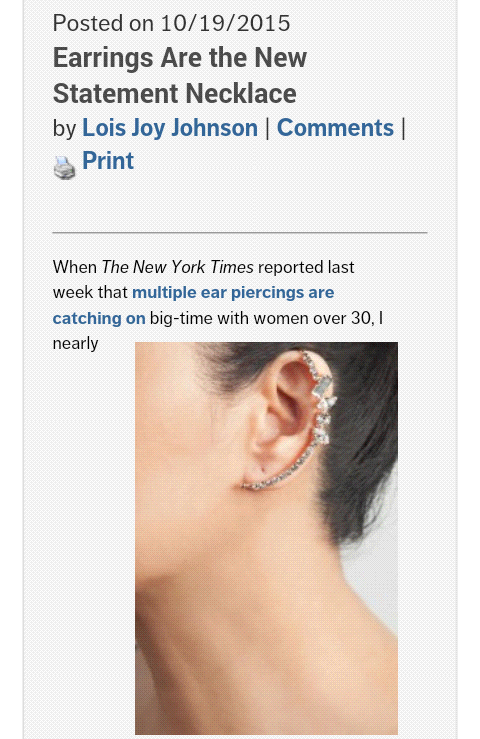 An article in NYT points out the rising popularity of ear piercings; a post following this shows what can be done by means of fake jewelry which is always an easy way to achieve an interesting look. Interestingly enough, the news is spreading about a guy who decided to chop his ears off in his pursuit for a chosen look. It looks odd for most of us but isn’t it interesting to live in the times where so much is possible? A totally failed and misunderstood chest hook suspension. let’s try to be color-blind!